Ready to become the next Serena Williams? When college athletics comes to mind, most people immediately think of football or basketball, overlooking tennis. But this overlooked yet fast-paced intriguing live action sport demands national attention. With the highest win percentages from the 2016-2017 season, multiple NCAA championships, notable alumni tennis players, club tennis teams and various tennis facilities, these schools dominate the collegiate tennis court competition. Aspiring tennis players should watch for these 10 Divisions I, II and III schools. Master your serve for the NCAA by the beach. The women’s team won the school’s sixth NCAA Division II national championship this year. If you need a coach to teach you how to stay one step ahead of your opponent, you need Barry’s coaches. Beyond that, you can lob a few balls at the tennis court followed by a peaceful cool down at the beach or at the Tennis Center. And with Miami’s sunny weather year-round, you can keep your tan going while practicing for the next varsity match. The Bearcats have eight NCAA Division II championships under their belt for the men’s tennis team. Did I mention they won all eight championships consecutively? 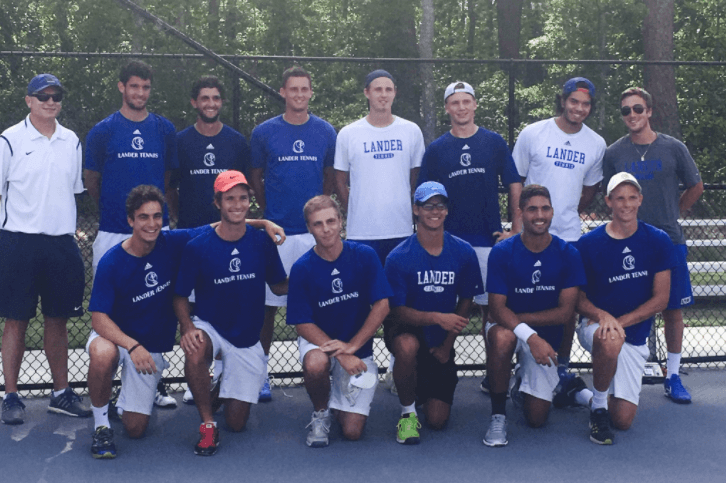 With a 75 percent win rate for the men’s team, Lander marks itself as a school to watch out for on the tennis court. These tennis players make their mark off the court, too. Recent graduate and women’s tennis top player Renata Barcellos de Azervedo MelloIf received Lander University’s Thayer Award for the highest GPA of a graduating senior. Enjoy tennis but prefer a less competitive level? Lander offers an intramural singles tennis tournament in the fall. You can work on your serve while still hitting the books in the library to keep an even more balanced work and play lifestyle. UF tennis awaits you. Known for turning students into professional tennis players, UF credits their claim to fame to retired tennis professional Lisa Raymond. As a Gator, she led the team to their first ever NCAA national team championship in 1992. In 2003, she was inducted into the UF Athletic Hall of Fame. The women’s team also dominates with a win percentage of 91 this year along with securing their seventh NCAA Division I Championship win. Even their club team is impressive, winning three National Fall Invitationals in the past five years. And even with all those wins, the tennis players don’t let competition get in the way of community. “When you have so many people around you at UF who share your love for tennis it keeps you coming back and you feel like you’re truly part of a community,” UF club tennis member Andrew Makarov said. When you think UGA athletics, you imagine screaming fans at football and baseball games. But did you know their tennis team consistently wins on the court? This season, the men’s team won 73 percent of its matches and the women’s team won 76 percent. Beyond that, UGA’s club tennis team gives you a great balance between the court and study time. “Practicing during the week and competing in tournaments on the weekend have helped create a very close-knit group of players,” UGA club tennis member Madelyn Boren said. “Since joining, I have made several close friends while furthering my tennis hobby.” UGA tennis alumni continue to win past graduation day. You can see living proof with former Bulldog John Isner, UGA’s biggest star. One of the highest-ranked American players on the ATP Men’s Tennis Tour, he had a successful career playing with the Bulldogs and was an All-American player in the Intercollegiate Tennis Association. And that could be you some day. How does watching a tennis match with your friends in Georgia’s sunny weather sound? Home of the Armstrong Pirates, the Armstrong Atlantic State University is a Division II powerhouse in the NCAA. Not convinced? The women have 10 triumphant NCAA championships to their names. Plus, they have a small club team waiting for you with 10 lighted courts. If you fall into the “not so competitive” category, AASU proves itself as a good school for hitting around with newfound tennis-loving friends. With around 7,000 students, you’ll definitely find your niche in the tennis world on campus. Ever feel unable to juggle classes, internships and your favorite sport? At Emory, that’s no issue. “We have people that are involved in multiple leadership positions, tour guiding/admissions, sorority/fraternity life, research, other club sports (soccer, volleyball, triathlon) and jobs/internships. While we all have so much going on, we’re still just as dedicated to tennis,” Emory University club tennis member Anish Nalla said. And that’s no joke—the men’s team just won their fourth NCAA Championship while the women have seven Division III championships. Emory clearly proves that the division you’re in doesn’t matter. “Even though Emory is a Division III school on the varsity level, on the club level, we are able to play schools from any division. 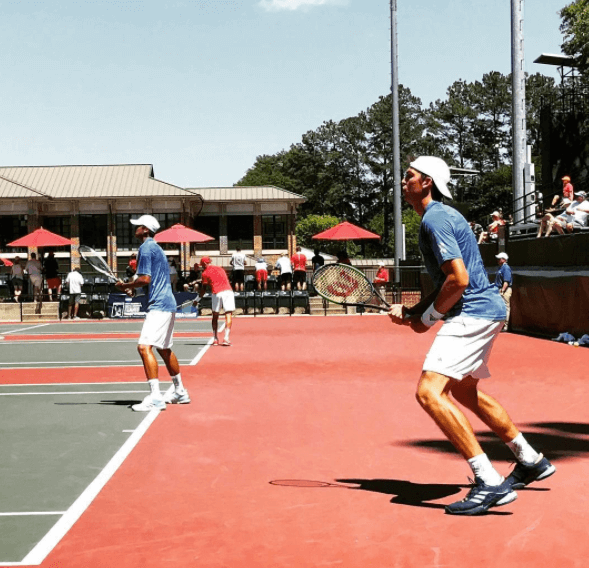 Also, we’ve had the opportunity to travel to these bigger schools for tournaments, specifically Auburn and UGA.” From a choice between six newly-lighted courts to the opportunity to join a great club team, Emory has it all. Williams College in rural Williamston, Massachusetts presents both a beautiful landscape and award-winning tennis teams. As a higher end Division III program, the men’s team has won four NCAA Championships while the women have dominated, winning their tenth NCAA Championship this year. “I think the main thing that sets us apart from other teams is our commitment to our core values: Having a team-first attitude, working hard 100 percent of the time, loving the battle and competing with heart and bringing positive intensity to the court everyday,” Women’s Tennis Captain Hannah Atkinson said. That’s clearly paid off—women’s team triumphed in the 2016-2017 season with a win rate of 83 percent. “As a tennis program, we are a team that works hard, is positive and approaches obstacles and challenges with determination and energy,” Head Women’s Tennis Coach Alison Swain said. Who doesn’t want to relax by the ocean after a win? This season, the men’s team won 79 percent of its matches and has 16 NCAA championships to their name. With eight lighted tennis courts to choose from as well as an awesome hang out spot in the Los Angeles Tennis Center Straus Clubhouse, you’ll never get tired of the tennis environment here. Tennis great Arthur Ashe, one of the honored collegiate tennis players, went professional after receiving a scholarship from UCLA with the best team at the time. In 1965, he won the singles NCAA Championship and contributed to helping his team win the overall championship. Even more impressive? UCLA also boasts a strong coed club team, ranking third at Tennis on Campus Nationals just this year. With over 800 student organizations to choose from, you know you can always count on finding your place on campus through tennis. The Division I Powerhouse team truly shines. The men’s team triumphed with a win percentage of 81 percent of their matches this season. With 21 wins, the men have the most championships out of all Division I tennis programs. Steve Johnson is USC’s highlight alumnus. He finished his career on a 72-match win streak and took a trip to Rio for the Olympic Games. Their Tennis Complex also offers six courts where two courts were recently resurfaced with sport court equipment, according to USC’s website. If you want to switch up between tennis and a little bit of volleyball or hockey, this new upgrade allows that. With 190 majors for a bachelor’s degree and 199 academic and professional minors, you get the best of both worlds with multiple educational opportunities and the chance to get involved with an amazing school for tennis. Can I get a “Fight On”? Why not work on your serve where superstars like Venus and Serena Williams, Bjorn Borg or Jimmy Connors once played? If you want to see your heroes play on the tennis court, come to Stanford. Stanford’s Taube Family Tennis Center hosts many big tennis events, including four of the NCAA Women’s Tennis Championships. In 1977, legend John McEnroe joined Stanford and won NCAA singles and team championships in 1978. After his success, he joined the ATP World Tour. Even better? 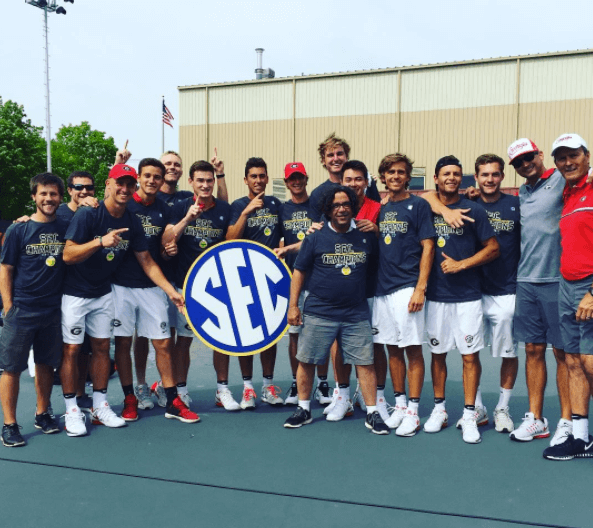 The men’s tennis team has triumphed with 17 NCAA Division I Championships while the women’s team has 18 NCAA Championship titles. Aside from the varsity team, Stanford offers a competitive coed club team. “The community on our team is very strong,” Stanford Club Tennis President Jenny Chen said. “While we come from a variety of places and academic backgrounds as both undergraduate and graduate students, what brings us together is the game and our continued commitment to growth as players.” Who’s ready to live and breathe tennis? *Statistics based on 2016-2017 NCAA tennis season. Also researched and written by Niall Patrick. Rachel is a sophomore at the University of Florida. She is currently majoring in English with a passion for film. Her favorite pastime is laughing at her own jokes.